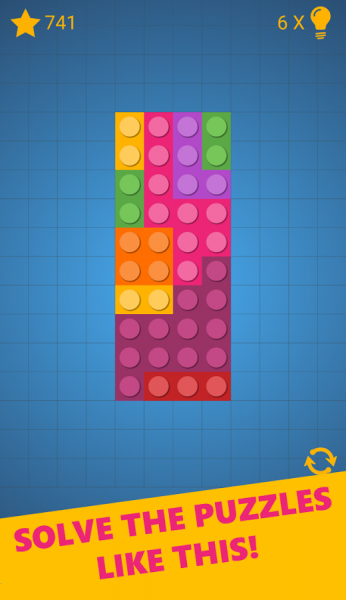 Click here to claim Block Puzzle. 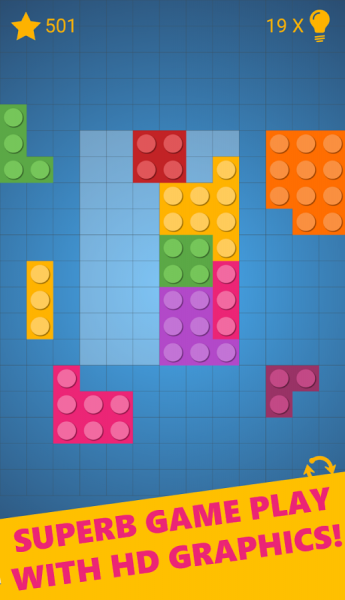 Block puzzle game is a blend of jigsaw and tangram games. 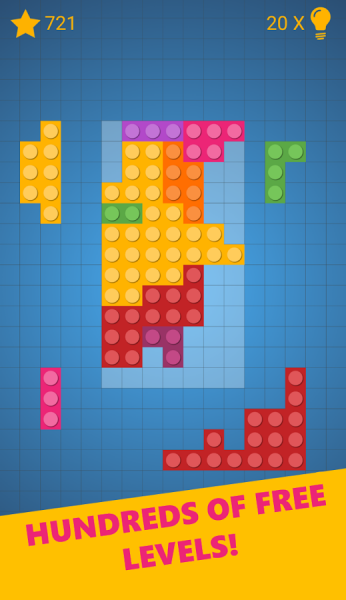 Solve it by filling the board with different shaped blocks or bricks. Bored in subway, in a bus or on a plane? Play it and train your brain whenever you have free time. Block mania goes on. One of the most loved games of all times. Solve hundreds of free levels and challenge your friends with online leaderboard. The game starts with easy levels and gets harder slowly. You can always use hints when you get stuck. You win free hints when you solve more and more levels. ✔ Superb game play with HD graphics! ✔ Hundreds of free levels. ✔ Your progress is saved. ✔ Earn free hints when you solve levels. 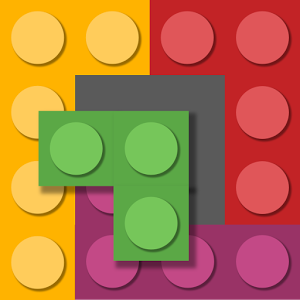 ★ Drag pieces to the correct positions and complete the rectangular shape. 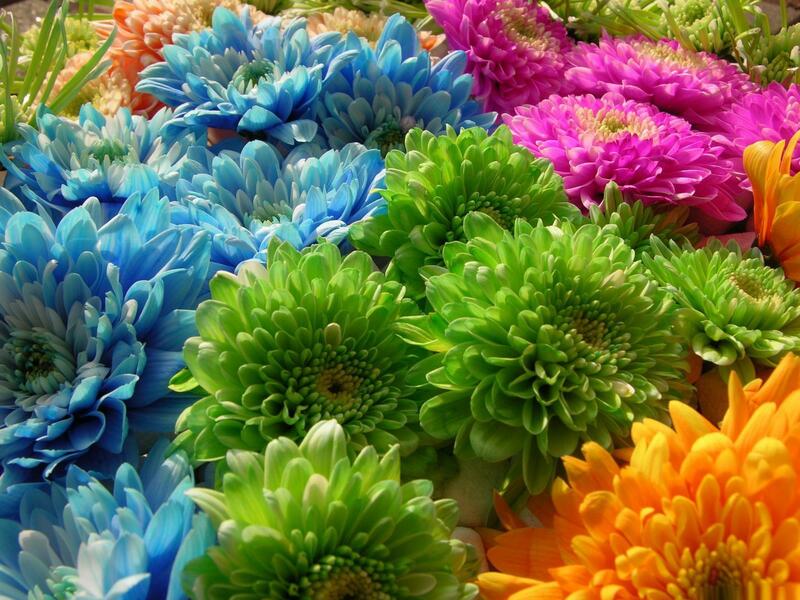 ★ Pieces cannot be rotated. ★ Use hints by tapping the lamp icon on the upper right corner. ★ You can reset the level by tapping reset icon when you wish. 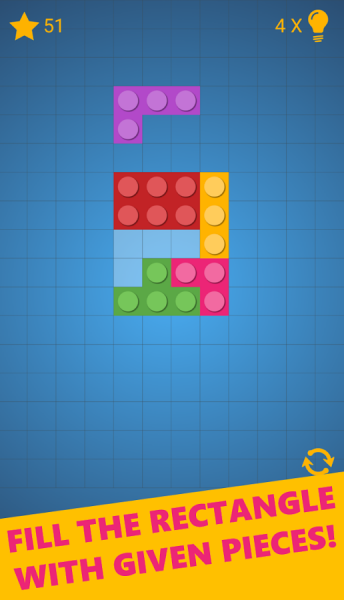 Download Block Puzzle from these app stores today.